NASCAR expert Brian Polking reveals his Fantasy NASCAR picks for the STP 500. The Monster Energy NASCAR Cup Series visits Martinsville Speedway this weekend, and for the first time in 2018, we have to adjust our fantasy NASCAR lineups for a short track. We also have to adjust our strategy after the starting lineup was set by owner points after qualifying was canceled due to weather. A short track can be a bit of an equalizer for teams, lessening the impact of the aerodynamics a bit and putting the race back in the hands of the drivers. This is especially true at Martinsville, a flat, half-mile oval that tests a driver’s ability to manage their brakes and navigate some of the tightest racing conditions they will see all year. Although the physical nature of short track racing brings with it an increased risk of wrecks, the truth is that certain drivers just seem to have a feel for Martinsville and have typically delivered great results at the track. There are plenty of big names in that group, but there are also some mid-tier drivers and even some I wouldn’t even consider at most tracks. I will be heavily targeting these drivers these Martinsville masters this weekend. I won’t hesitate to use a big name just because it’s a short track, but I also won’t hesitate to use a midrange or sleeper play if their numbers justify it. I’m more inclined to use the bigger names in Fantasy Live because of the importance of stage points, but in the B and C groups in Driver Group Game and Slingshot Fantasy Auto, you can definitely find value elsewhere. Check out all my picks across all the season-long fantasy NASCAR leagues for Sunday’s STP 500 at Martinsville. As always, you can get in touch with me at @BPolking or at bpolking@fuse.net if you are looking for advice or lineup tips on any fantasy NASCAR games not covered in this article. Speaking of Martinsville masters, Busch has been on a heck of a run at the short track. He has five straight Top 5 finishes here, and last year, he finished second in the spring race and won the fall event. Perhaps more importantly, he finished no worse than third in any of the four stages at the track last season. Starting second with a car that was fast on longer runs, Busch should be able to give you plenty of those all-important stage points this weekend while contending for the win. Keselowski is the only driver who has been in Kyle Busch’s league at Martinsville recently. He won this race last year and will be going for his fifth straight Top 5 here this weekend. Last year, Keselowski finished fourth or better in all four stages, sweeping both in the fall race. From a Top 5 starting spot, he’s got a great chance to finish as the top scorer Sunday. Almirola has been fast all year, but poor qualifying efforts have spoiled his potential in the stage points category. Thanks to Mother Nature that changes this weekend. Almirola still has plenty of speed, and with the field being set by points, he also has a Top 10 starting spot. I think he can run near the front all afternoon and post a solid score. His career numbers at Martinsville don’t jump off the page, but Blaney had two excellent runs here last year and didn’t get the finish he deserved in either race. However, he did manage to finish seventh or better in all four stages, making him one of just five drivers to accomplish that feat last year. Starting 15th isn’t ideal, but it’s not a death sentence either, especially after he showed Top 10 speed in Happy Hour. Perhaps more importantly, it’s a lot easier to gamble on his potential when I have a Garage Driver to fall back on. He doesn’t get the credit he deserves as a short track ace, and in two starts at Martinsville last year, Bowyer finished seventh and third, earning points in two of the four stages. With Stewart-Haas Racing firing on all cylinders and Bowyer starting in the Top 10, I think he has even more potential for stage points this weekend at a track that has been among his best. I can’t pass up Top 5 potential from a driver who I still have 10 starts left to play with. I was all set to use Jimmie Johnson as my Garage Driver, but he just didn’t show me enough in practice. Throw in the fact that he is starting in the middle of the pack, and I’m not sure he is going to provide many stage points. Instead, I’ll go with Elliott, who had two excellent runs at Martinsville last year, collecting a ton of stage points, and raved about his car for Sunday’s race. He will have to start 21st because of how the field was set, but if he surges to the front early, I’ll have him ready. I’m going to save a start from Kevin Harvick at a track that hasn’t typically been his best. Plus, Busch has nearly been as impressive as Harvick in the early weeks, and no one has been better at Martinsville recently. He has cracked the Top 5 in five straight races here, winning twice and posting a 2.8 average finish. This week, he’s starting on the front row, and he was one of the three best cars in practice. A lot can change over the course of the year, but right now, it looks like 27 of my Group A starts will be coming from the trio Harvick, Busch and Martin Truex Jr. It looks like Bowyer is going to be a quality Group B play at just about every track, but I’m trying to maximize his value, and he has Top 5 upside at Martinsville. He’s always been an underrated short track option, and he finished seventh and third in two starts here last year. As well as the Stewart-Haas Racing cars have been running in 2018, I’m expecting a big performance from Bowyer this weekend. Rolling off in the Top 10 with a car that was fast in Happy Hour should only help. I was planning on using Chase Elliott, and while it looks like the No. 9 is plenty fast, he has to start in the middle of the pack. Crazy things can happen in traffic at a short track, so I’m going to play it safe and go with Newman. He has finished 16th or better in five straight starts at Martinsville, and he was a Top 10 car throughout both practices Saturday. Newman starts 14th, and he should at least be able to deliver a Top 15. Wallace looks like a mid-pack car, at best, at the intermediate ovals right now, so I need to save starts from Alex Bowman and William Byron whenever possible. In the Truck Series, Wallace has been particularly strong at Martinsville, finishing in the Top 5 in all four starts and picking up a pair of wins. Despite lackluster practice times, I’m hoping that past success translates to a finish in the top half of the field this weekend, and I think his Top 20 starting spot will help his cause. 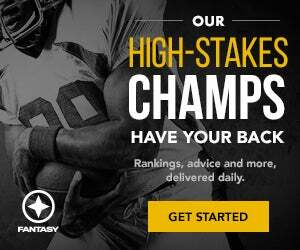 Join Scout Fantasy for top advice in the industry from check-cashing, proven winners!